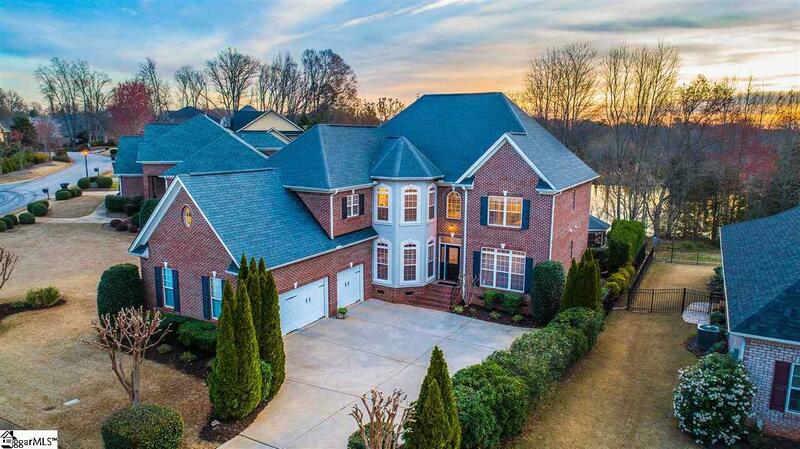 Wow, this is the idyllic all-brick LAKEFRONT property with a 3-CAR GARAGE you have been searching for! Imagine lounging in privacy at the sunroom, stylish pool, or gazebo while overlooking a peaceful water front setting this is place for you and truly IMMACULATE. NATURAL LIGHTING is phenomenal here, with tall 2-story windows in the great room bringing in early morning light and great VIEWS OF THE LAKE from both floors. A comfy SUNROOM shares a pass-through gas logs fireplace, and warm tone ceramic tile floors provides a luxurious spot to begin your day with coffee or relax with a book. The sunroom brings in plenty of light to the adjacent breakfast area and kitchen, creating a nice OPEN FLOOR PLAN that creates easy family or entertaining time. Chefs will appreciate the WORKSPACE IN THE KITCHEN, with lots of wraparound granite counters, central island, 2 pantries, double ovens, and stainless-steel appliances. Silky smooth and GLEAMING HARDWOOD floors run through the kitchen, main floor and up the stairs, creating a warm inviting ambiance. A large dining room will fit your big table and is accented by HEAVY MOLDING, as does the rest of the home. The large OFFICE on the main floor looks elegant and has a professional appearance. A 4th BEDROOM DOWNSTAIRS with a full attached bath is always useful for guests and is tucked away for privacy. Upstairs you will find 3 more bedrooms, a LOFT / library and mesmerizing views out the back from the loft or catwalk. Luxurious living is found in the huge MASTER BEDROOM that features double tray ceilings, spacious bathroom and a monster walk-in closet with natural lighting. The master bath features, CUSTOM TILE SHOWER, jetted tub and ceramic tile floors. The loft upstairs is open to the great room and full of natural light works great as a library with a view or a nice kid space. Need extra parking space the 3-car GARAGE is hard to find and has plenty of room for your vehicle, space for an additional refrigerator or freezer, plus loads of shelving for storage. Off the sunroom in the back is a nice DECK overlooking the pool this area is shady in the afternoons and provides a great space to hang out or grill. A screened in GAZEBO has power and a ceiling fan another spot to enjoy the lake view, or just relax and with the sound of the custom waterfall feature at the pool. The METICULOUS LANDSCAPING shows a lot of TLC and creates a wonderful sense of privacy in the back area, as well as around the rest of the property. 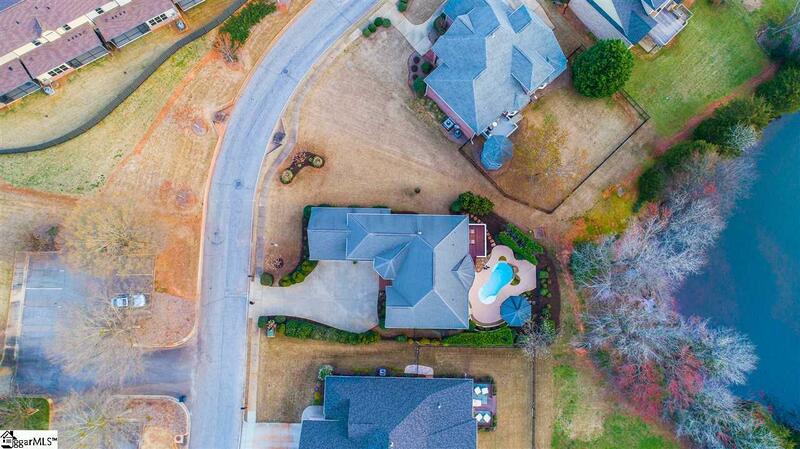 Full yard IRRIGATION system keeps everything looking nice. 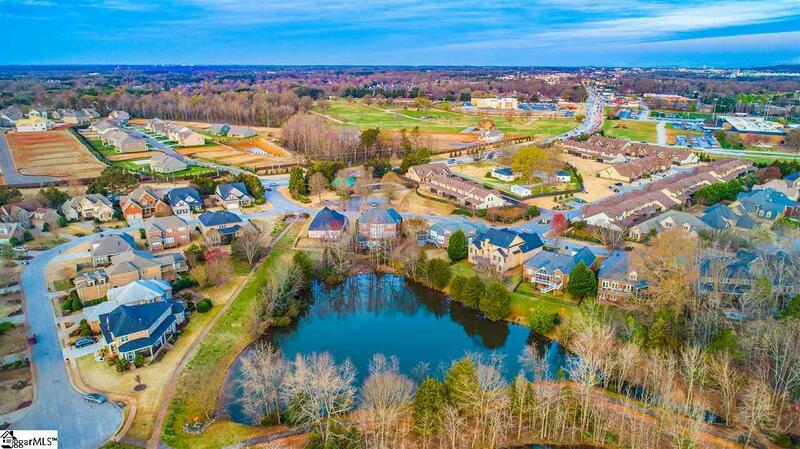 All this in the coveted Asheton Lakes subdivision that features THREE LAKES, where you will enjoy all kinds of aquatic wildlife -ducks, turtles, and of course fishing! Get out and about in the neighborhood on the walking trails that go around and between the lakes - easy exercising and socializing. The community pool is a short walk if you want a different pool setting. 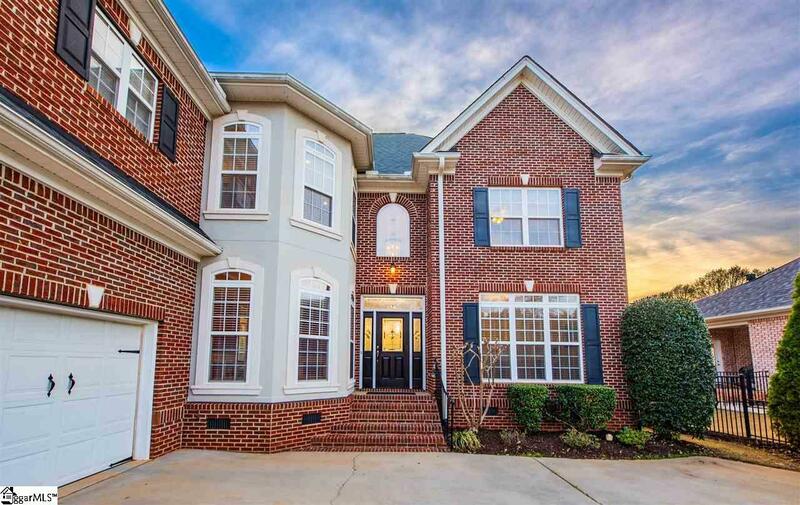 This property is centrally located on Woodruff Road - super quick access to all the amenities and closer in than Five Forks. Traveling professionals will appreciate the access to the airport - jump on Hwy 14 and you are there in no time. Great schools and great location for the home of your dreams.